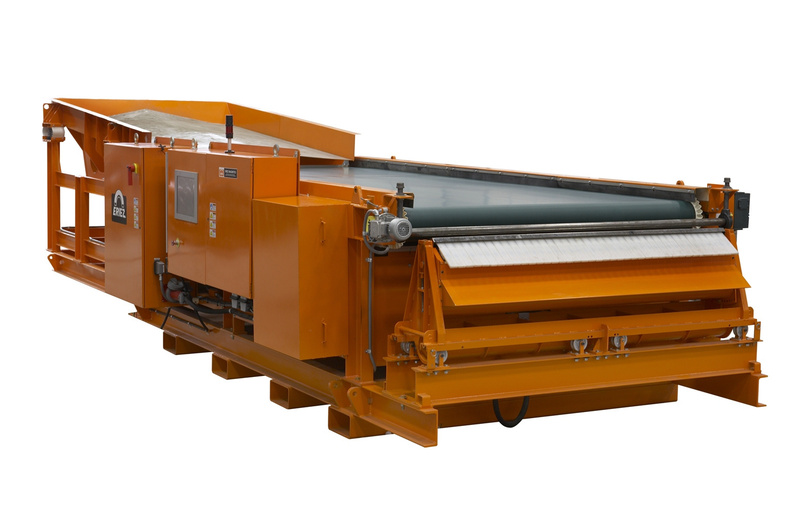 Following successful field tests and positive end user feedback, Eriez Magnetics Europe has introduced the new ProSort Metal Sorter, specifically designed to meet the needs of the metal recycling industry. The Eriez ProSort Metal Sorter utilises cost-effective electromechanical paddles, rather than costly air reject systems, to reject material, unlike traditional conveyor belt sorting machines. Recycling facilities that use metal-sorting machines typically install them downstream of Eddy Current Separators to capture valuable metals that might otherwise end up in a landfill. Shredded automobiles, white goods and other scrap move over a vibratory feeder onto a conveyor belt travelling at approximately 500 feet per minute. Sensors under the belt then detect pieces of metal travelling above and trigger air jets to blow metal over a splitter while the rest of the material falls off the end of the belt. Operators reported to Eriez Magnetics Europe that a constant, large volume of clean, dry air was very expensive and a major headache, as air compressors in the range of 125 hp or larger are required to furnish the high volume of air necessary to operate these systems. The new Eriez ProSort Metal Sorter employs a series of two-inch wide electromagnetic motorized paddles to reject metals instead of traditional air nozzles. These paddles are positioned side-by-side in a bank as wide as the belt, so when the sensors detect a piece of metal, the control circuit energizes the appropriate paddle at the moment the metal passes above, causing it to be diverted from the product stream. The Eriez ProSort provides a cleaner production facility and cleaner metal product compared to traditional units because compressed air has more influence on the light fluff and dust than it has on the heavier metal it is attempting to move. ProSort’s mechanical paddles positively displace metals without blowing fluff into the metals and dust into the air.